I've just completed reading this book. Guess what? 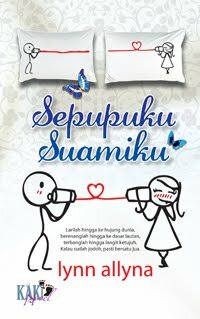 I always imagine that the male character in this book is YOU. Yes, you - my dearest one. Ntah la, i just can sense the similarities. I might be wrong but I know I can trust my inner sense. :-) I know I might not be as pretty as the female character, but trust me - I LOVE YOU more than she loves her husband. MUACKS! Such a romantic love story.